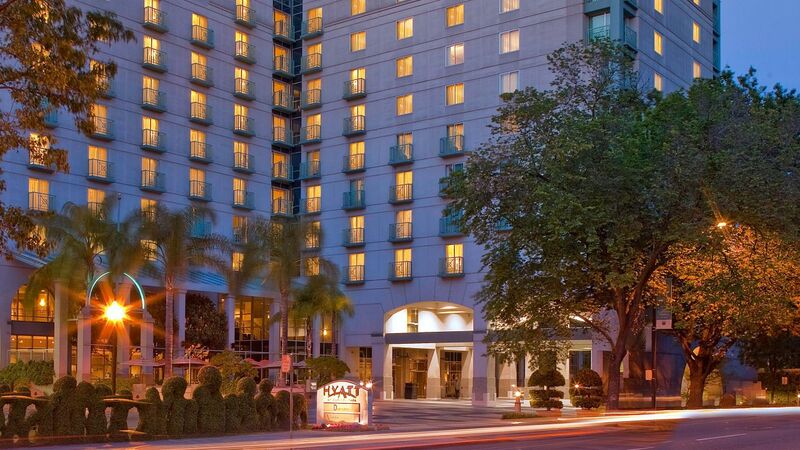 Located across the street from the California State Capitol and steps to the Sacramento Convention Center, our hotel is at the intersection of history and modern luxury. 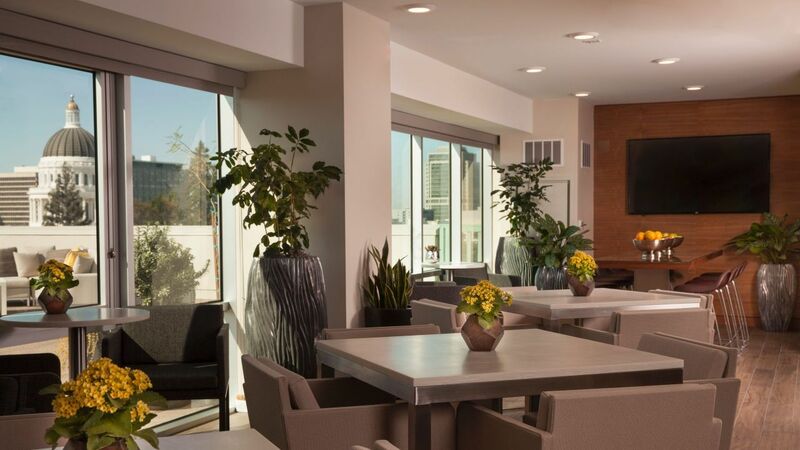 Explore the Old Sacramento Waterfront and its rich museums or catch a show or game at Golden 1 Center, all within walking distance of Hyatt Regency Sacramento. 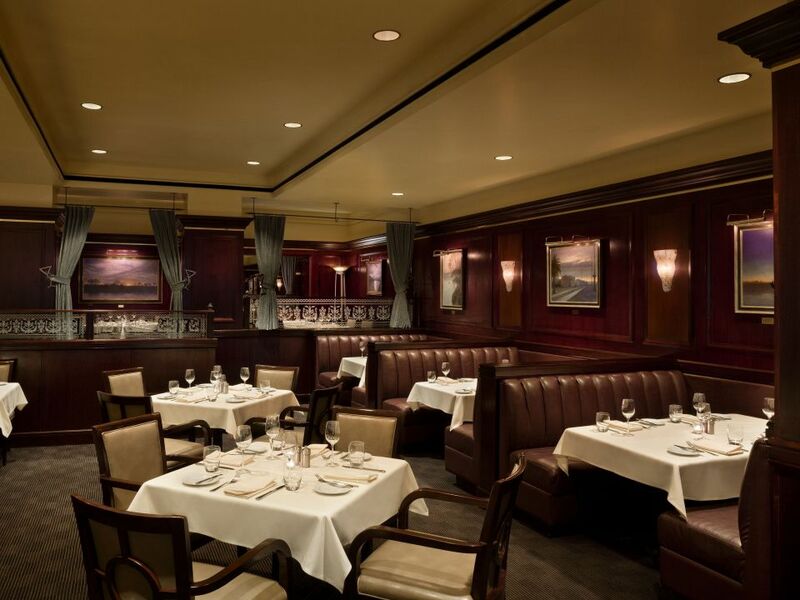 Indulge in succulent farm-to-fork steaks and seafood at our AAA Four Diamond award-winning steakhouse featuring a classic old-world ambience and decadent wine list. 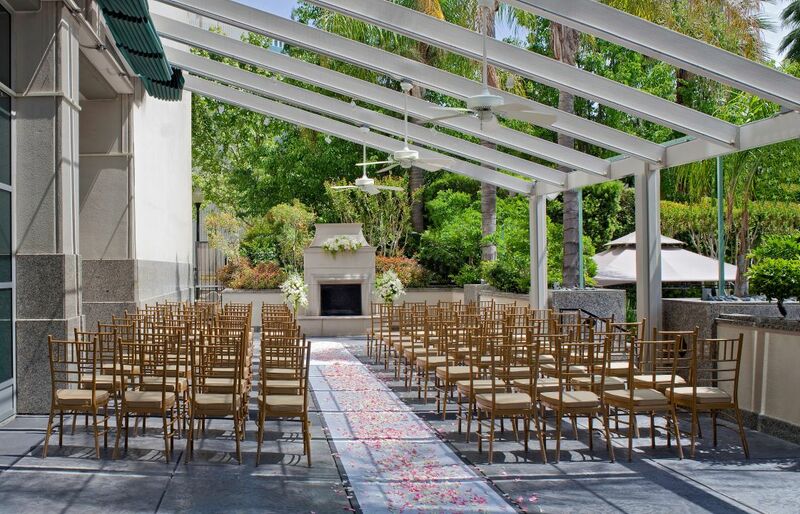 Celebrate with the Sacramento skyline setting the stage for your wedding in exquisite outdoor spaces and timeless venues with terraces overlooking the California State Capitol. 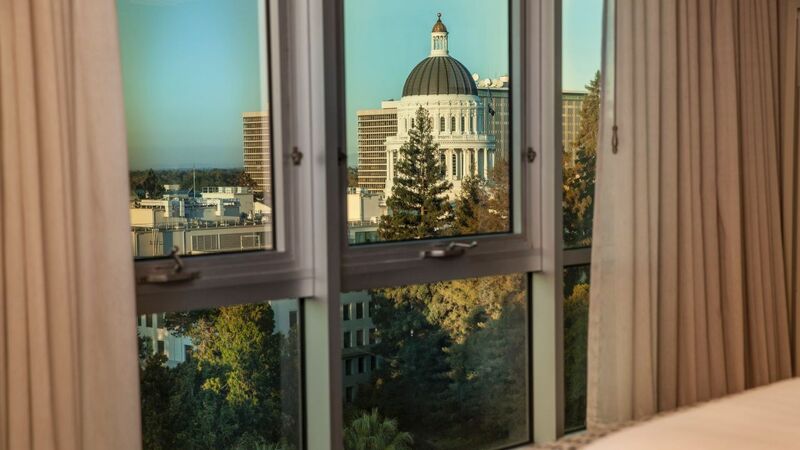 Relax in elegant rooms featuring views of the downtown Sacramento Skyline or the iconic California State Capitol from large windows that open for inviting breezes. 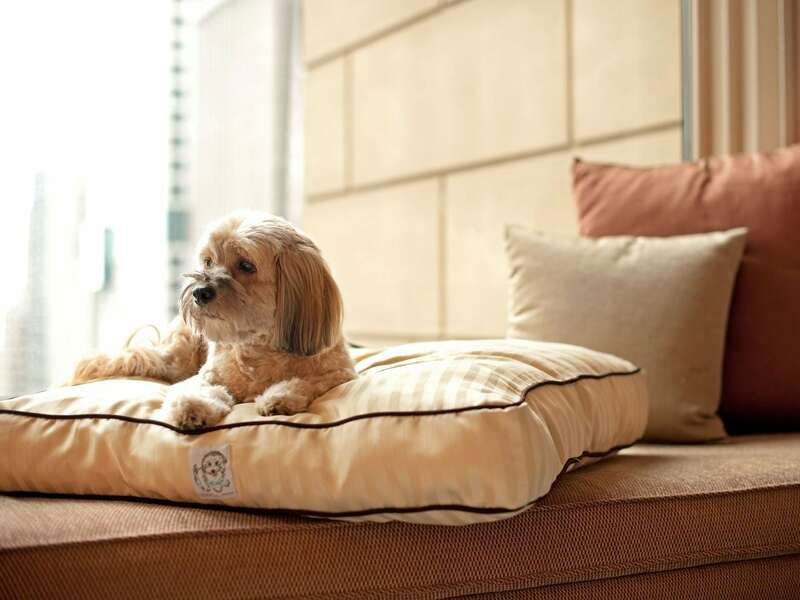 Upgrade to a deluxe Regency Club room for access, to a private lounge and outdoor terrace. Relax in the resort-style outdoor pool and hot tub, both heated year-round. Lounge under poolside cabanas or on the expansive sundeck surrounded by lush landscaping. Indulge in a refreshing drink or snack delivered to your lunge chair. 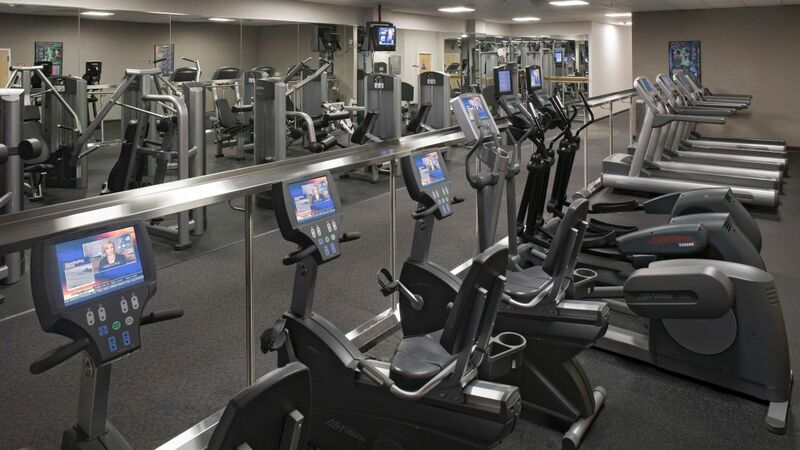 Work up a sweat in the 24-hour StayFit™ gym featuring cardio machines, strength training equipment, and exercise mats. Stay refreshed with chilled towels and filtered water. Freshen up afterwards in provided locker rooms. 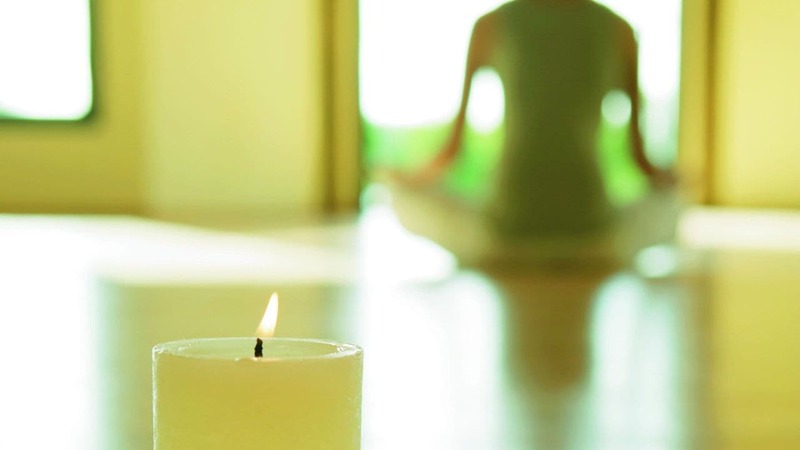 Treat yourself to a pampering massage, facial or Day Package. 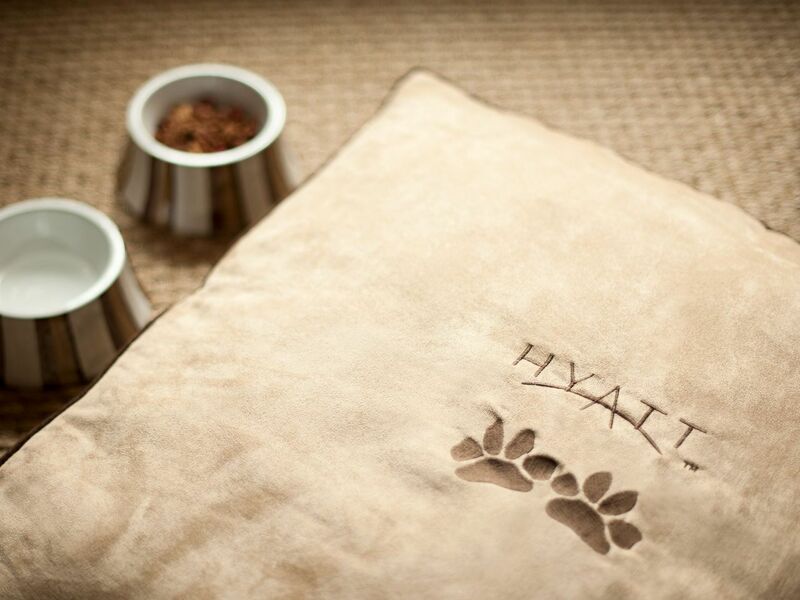 Indulge in a couple’s massage or relax with an in-room treatment, customized to your needs. 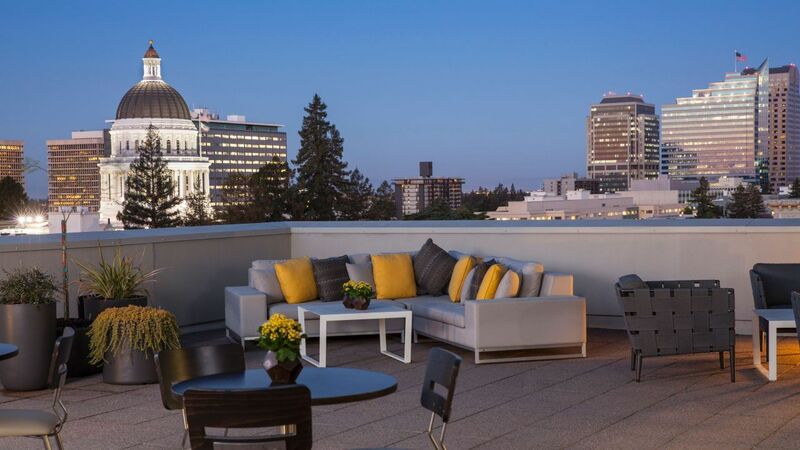 Gain exclusive access to the luxurious Regency Club lounge, a private social area that features a large outdoor terrace overlooking the State Capitol and Park. 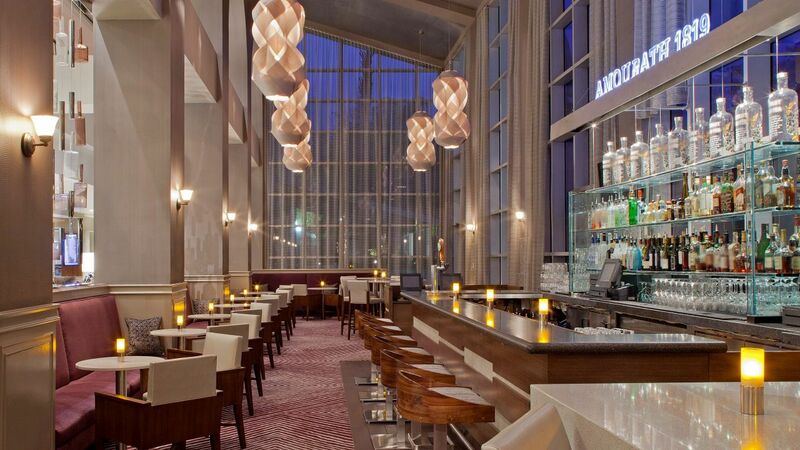 The club lounge serves complimentary daily breakfast and evening hors d’oeuvres. 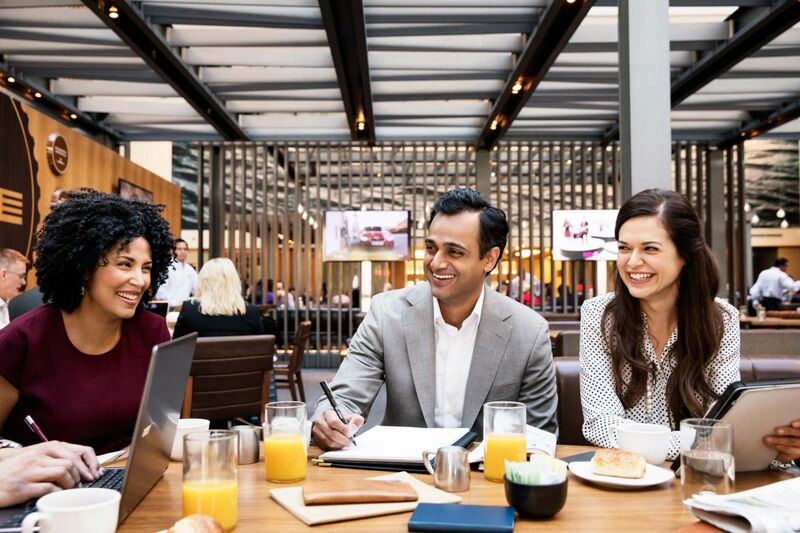 Stay in one of the Regency Club guestrooms at Hyatt Regency Sacramento to enjoy all the benefits of your Regency Club status. 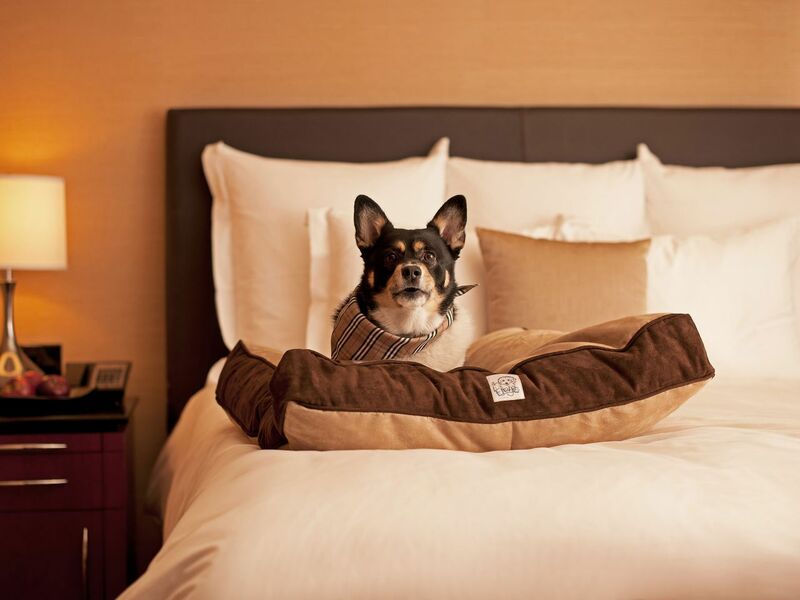 Your pets are welcome at Hyatt Regency Sacramento, where doggie treats and a bed will be waiting for your pup. 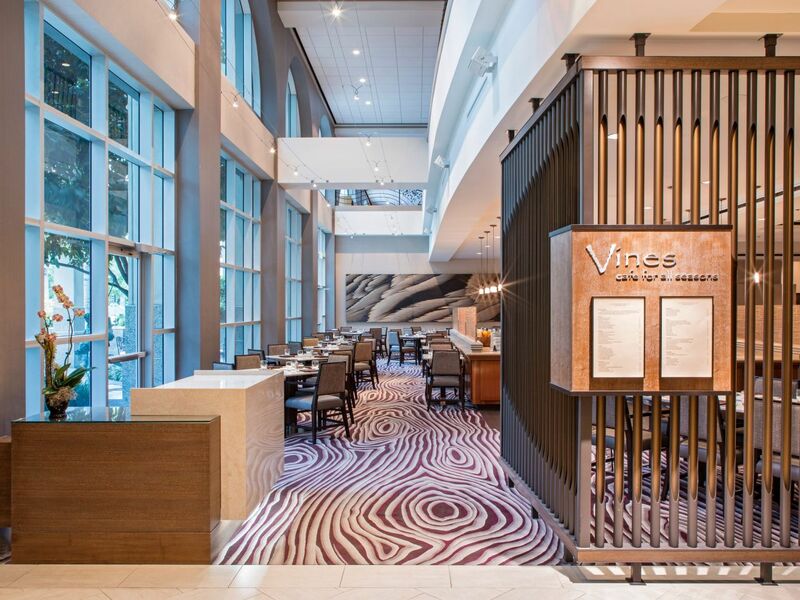 Savor fresh, locally sourced ingredients served by our professional staff. 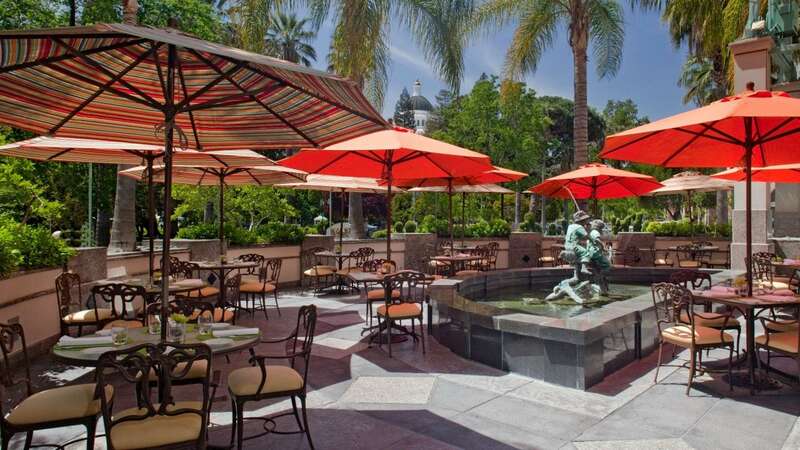 Dine al fresco on our outdoor patios offering a tranquil setting and views of the California State Capitol. 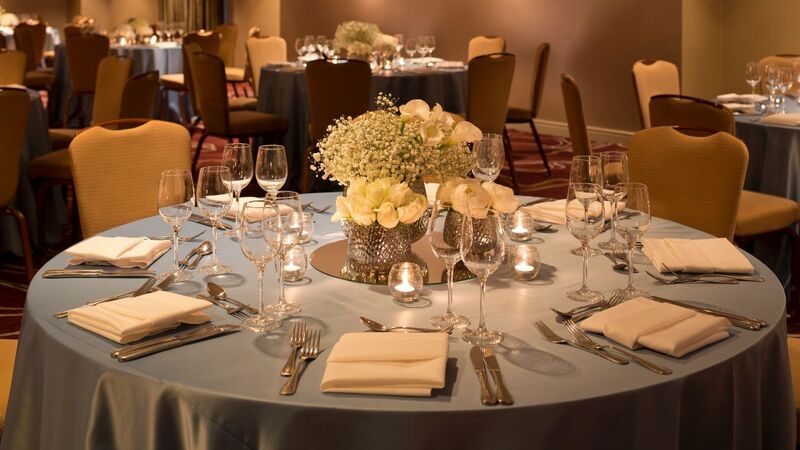 Make your special day even more memorable in our stunning outdoor spaces and elegant venues with the support of experienced wedding specialists and a talented events team. 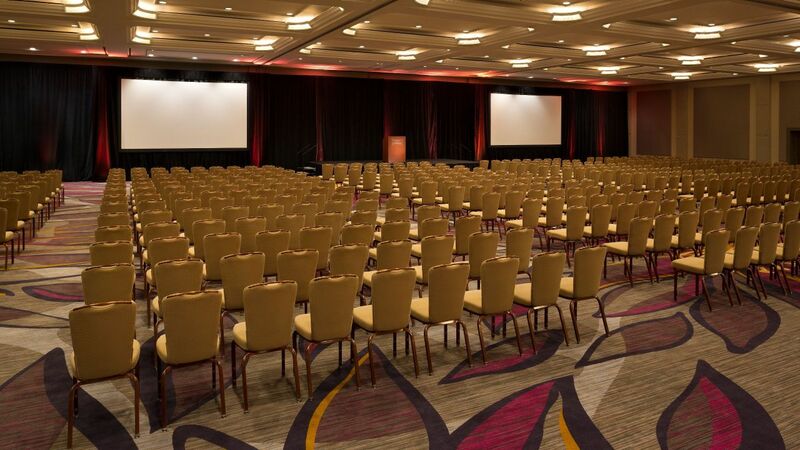 Plan an inspiring meeting or conference in more than 27,000 square feet of space with advanced audiovisual setups, full-service catering, and expert event planning. This is just a great hotel: great location, great staff, nice room. I have stayed here many times over the years and always like coming back. They do a great job. 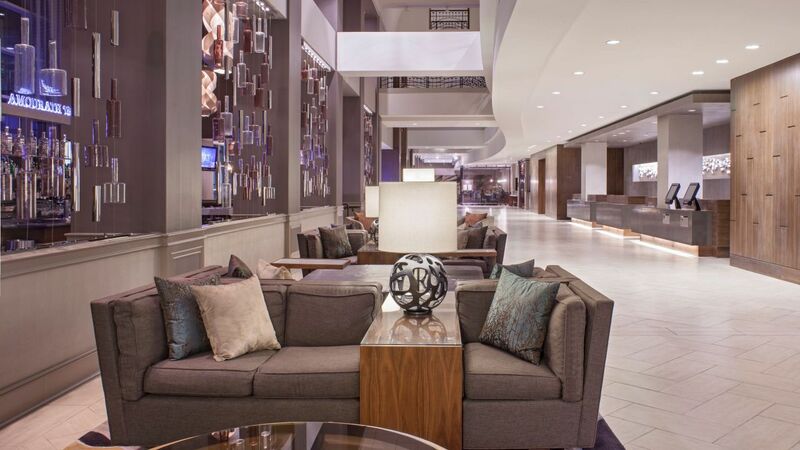 Everyone at the front desk is helpful and willing to go out of their way to help you. Can't wait to go back! 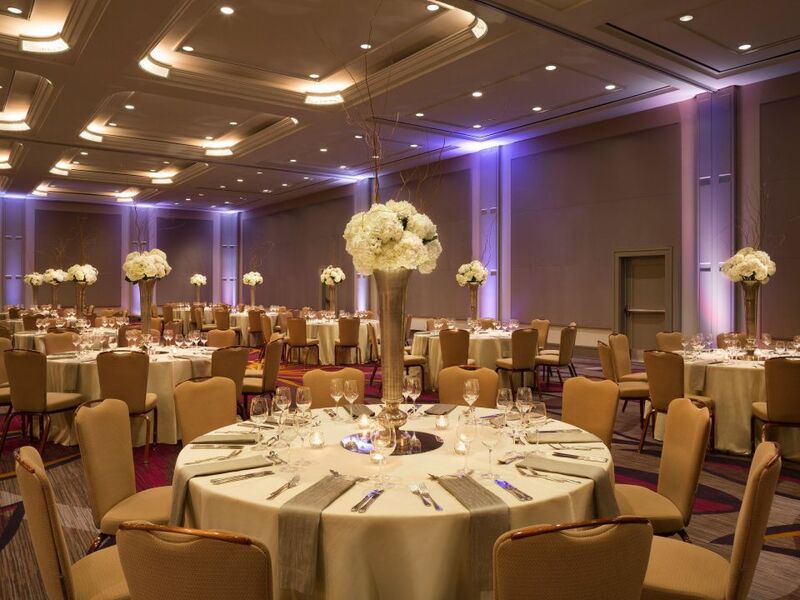 What else is happening at Hyatt Regency Sacramento?